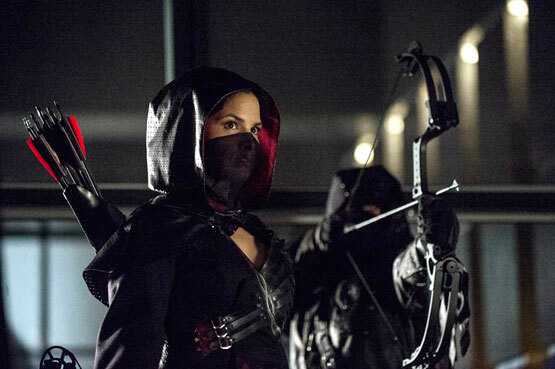 We’re just a few weeks away from the season 2 finale of “Arrow,” and while we already got the official episode description for the season finale, today the first official image from the episode was released that reveals the return of a character from earlier this season. You can see the image below, as well as some words about the character’s return in the season finale from executive producer Andrew Kreisberg that he said over at Green Arrow TV. He also gives some other details about the season finale also, so if you don’t want to know anything about the season finale, you might not want to look at the image or read what Andrew Kreisberg had to say, because there are Spoilers. Kreisberg, who as a fan of good TV is no stranger to what makes a big finale, and he was quite positive about this year’s Arrow season ender. “The finale is insane!” he enthused.